I have procrastinated on writing about the Coen Brothers' Inside Llewyn Davis. I never thought I would see a Coen Brothers' film I did not like, but I was not crazy about Inside Llewyn Davis. At least among film critics I seem to be alone. It is not a bad movie. It is beautifully filmed, finely acted. But my reaction is meh. 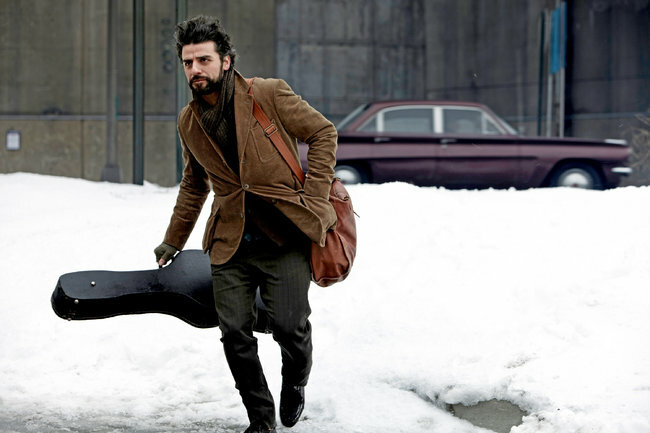 Llewyn is another in the Coen's pantheon of Everyman losers on a quest through quotidian tedium. Problem is, this time he's not just a jerk, he's a colossal jerk and utterly unchanged by the journey. The raison d'etre of the quest is transformation, but Llewyn doesn't learn a thing. Oscar Isaac's performance is superb as the self-centered Llewyn and Carey Mulligan, an actress I greatly admire, is always a compelling screen presence, as she is here as Llewyn's old girlfriend, the long suffering Jean. Yet when I walked away from the theater, I did not care about either of their characters. I did, however, care about the music, about what Greil Marcus calls the old, weird America that the movie channels through Llewyn on the one hand while delivering a social critique on the popular face 1960s folk performers gave to traditional American folk music on the other. And maybe this is what the Coen's are up to, after all. There are two competing myths of America, and they were each represented in the Folk Revival. One is the sunny American Dream in a land of opportunity where all men are created equal. Remember ABC's Hootenanny, which premiered in 1963 when I was 10 and ran for a little over a year? The Kingston Trio and The Chad Mitchell Trio, The Brothers Four, Judy Collins and The Limeliters -- all easily digestible to a mainstream audience. 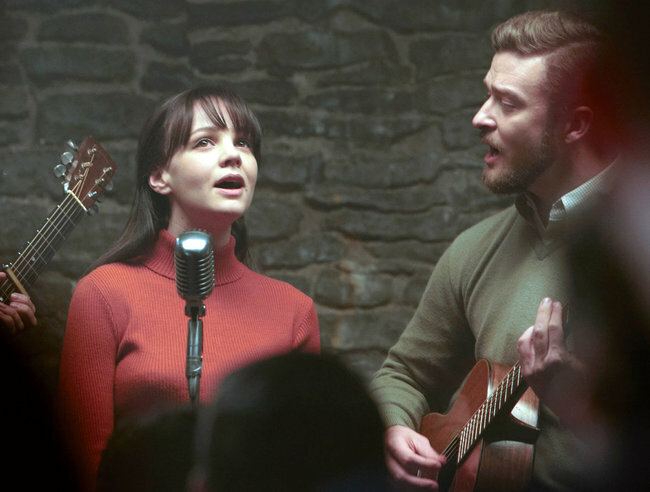 Even when the tales are of shipwreck or lost love, musically this pop folk tends toward a commercially viable, jaunty sound, and we hear it when duo Jean and Jim (Justin Timberlake) invite Llewyn to join them for "500 Miles" in a channeling of Peter, Paul and Mary. I read Woody Guthrie's Bound for Glory a year or so after Hootenanny left the airwaves. I wouldn't begin to explore the roots of the Folk Revival for another couple more, when I began looking for source material, which often had a dark, sometimes uncanny, even sinister, quality, in tale and tone. Maybe this is where Inside Llewyn Davis missed its mark for me. John Goodman's turn as the drug-addled Roland Turner seems meant to function as one of the grotesques that those songs from the old weird America chronicle, but the narrative doesn't go down this murky path into the shadowland. It wasn't until 1997 that I would hear the original old ballads, blues, gospel and labor anthem recordings unearthed by the American musicologist Harry Smith and issued in 1952 by Folkway Records as The Anthology of American Folk Music. The corollary to the myth of the pursuit of happiness and prosperity that these songs reveal inhabits a dark recess of murder, drunkenness, betrayal, violence for its own sake, and death. Llewyn may be down on his luck, but his petulant self pity and his sense of entitlement are a product of his experience coming of age in the affluent America of the 1960s. The story is set early on the eve, in 1961, before the country would erupt in race riots, before peace demonstration would drive a wedge through the population. Llewyn has the luxury of being a jerk. If anything has the potential to redeem him, it is the music.